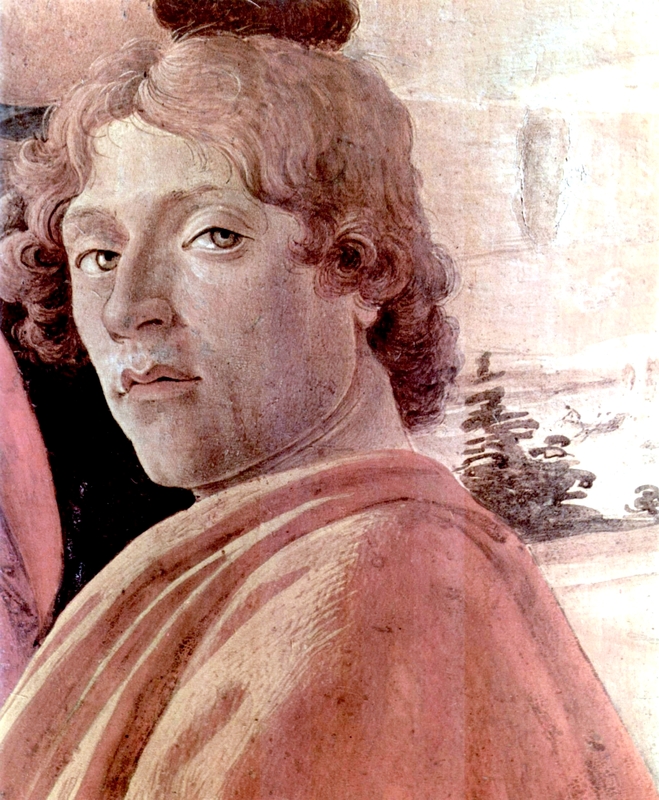 Mason recognized Sandro Botticelli easily from his self portrait, picking him out from his apprentices at once. A man of around forty, with a mop of greying brown curls, wide-spaced grey eyes, bowed lips and prominent cleft chin, he couldn’t have been anyone else. Besides that, he looked up at his entrance from a large canvas, paintbrush in hand. “This is a private studio, signore,” he said mildly, continuing with his art. Aside from a quick glance, his students continued with their work, ignoring the newcomer. He raised his eyebrows and took another look at Mason, weighting him with his cool grey gaze. Botticelli put down his paintbrush and walked over, peering at the phone Mason held out. He frowned. “That is unlike any other painting I’ve seen. What is this type of wood?” He reached out for the phone as if to touch it, but Mason pocketed it quickly, before the touch of the artist’s finger could change the screen. Mason sighed. That was that, then. It was unlikely he’d track down the artist now. But then another thought occurred to him. Mason must have looked crestfallen, for Botticelli’s face softened. As Mason stepped around the enormous canvas—which was nearly as tall as he was, and half again as wide—he caught his breath in awed recognition. He would know this painting anywhere. It was more familiar to him than his own reflection, as much as he had stared at it. He knew every brushstroke, both the ones already on the canvas, and the ones still to be painted. “The birth of Venus,” he whispered. “Indeed she was.” He gazed at the contrapposto figure, only just sketched out in plain tones awaiting contours. Something in his eyes reminded Mason of the way he looked at La Bella Ragazza. 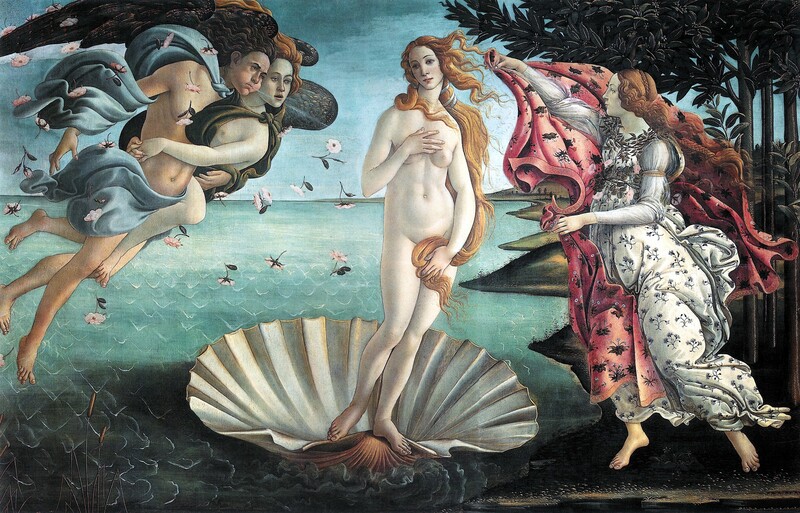 There was a theory that the model for The Birth of Venus was a noblewoman Botticelli knew, Simonetta Vespucci. More so, that he was in love with her. He had asked—or rather, one day would ask—to be buried at her feet. The art scholar in Mason burned to know if this was true, especially watching the light in the older man’s eyes as he studied his painting, but he knew enough not to ask. Instead, he too gazed at the painting, into the hazy eyes of Venus, the likeness of a woman now dead for a decade. And suddenly Mason answered one question in the sea of mystery in which he foundered. If Sandro Botticelli was just now painting The Birth of Venus, then the year was between 1484 and 1486. He breathed a heavy sigh, as though he’d been drowning, and this one nugget of truth had given him a gasp of air. “I’m sorry I couldn’t help you,” Botticelli said, genuine apology written on his face. The artist smiled, chewing on his lip for a moment in thought. “I probably shouldn’t do this, but …” Then he stepped closer, so his apprentices couldn’t hear. Intrigued, Mason leaned in to listen. Mason looked at him in question. But instead of answering, the artist called one of his apprentices, a young boy of about twelve who was grinding pigment in a mortar, to come over. Obediently, the boy trotted to his master’s side. Mason remembered his modern attire with a start and laughed at the dubious expression on Botticelli’s face. “Indeed, they do,” Mason replied. If you think the men dress differently, he thought, you should see the women.